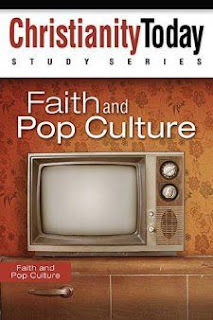 Each study begins with an article from Christianity today magazine relevant to the topic. This is followed by fun questions for getting to know other group members, discussion questions about the article and questions about a bible text on the topic. The topic is a great one for Christians to be studying. Too many Christians take the extremes of embracing everything popular culture (and often the messages that come with it) or at the other end of rejecting completely all entertainment that lacks a strongly religious message. Thankfully the book avoids both. The article in session five from a Christian responsible for reviewing mainstream films is particularly good food for thought on the topic of discernment. I also think it is good that the book also includes the topic of sport. It doesn’t normally seem to get taken into account as part of Christian discussions on entertainment. The book is designed for group study but I used it for individual study. While you would probably skip the some of the introductory questions, most of the other questions would be suitable for working through on your own. You might consider using the questions as a starting point for journaling.